Internationalization involves a process of transformation during which leaders and teachers adapt the school to function in an international context, based on transnational cooperation at an institutional level. One theory defines the internationalization of higher education as one of the ways a country responds to the impact of globalization, yet at the same time respects the individuality of the nation. In order to achieve rapid industrialization and development after independence, Nigeria needed to invest in the training of a professional workforce. The indispensable need to create more universities to reach this goal was facilitated by the establishment of the University of Lagos in 1962. The Eric Ashby Commission on Post School Certificate and Higher Education was established by the Nigerian Government in May 1959. However, the Ashby Commission had envisaged a non-residential institution which would be cited in the business district of Central Lagos, the UNESCO Commission opted for a traditional university, “a complete all encompassing institution” with residential accommodation on a large campus. 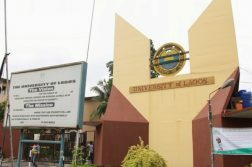 Following the acceptance of the UNESCO Commission’s report, the University of Lagos was established on the 22nd of October, 1962 on the authority of the University of Lagos Act of 1962.
International students enrich Nigerian universities and communities with unique perspectives and experiences that expand the horizons of Nigerian students and makes Nigerian institutions more competitive in the global economy. The knowledge and skills students develop on campus prepare them to become the next generation of world leaders who can work across languages, cultures, and borders to solve shared global challenges. What are the benefits of Internationalization of the University of Lagos to Nigerians? What are the prospects of this Internationalization? In Nigeria, there is an increasing diversity of institutions – varying sizes, degree of focus on researches, courses and type of qualification, public and private, part-time to accelerated courses. With such a diverse portfolio of universities, it would be sad if there was a perception that there is only one way for a university to be international. Fortunately, this is not the case. To me, internationalization evokes a near-infinite set of possibilities and opportunities for cross-pollination between people from different backgrounds. This goes back to what academics do; they build a web of connections in the realm of ideas, creating solutions to problems – old and new. To be innovative, a vibrant exchange of opinions is essential. Internationalization represents one way to create this crucible of ideas. Internationalization would make provision for infrastructures that meet international standard such as the ones on ivy league campuses in the United states. It is recorded that Cornell University has one of the most beautiful campuses. They have a wide range of architecture styles and from different time frames. They have various beautiful quads. 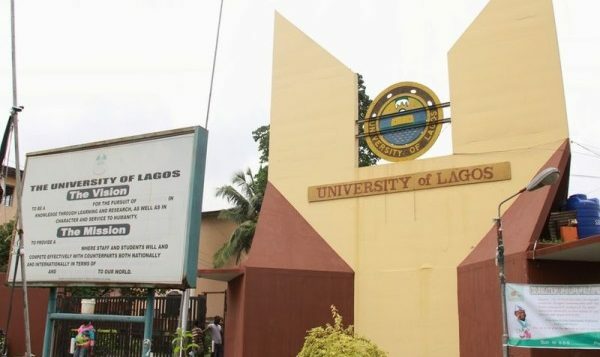 University of Lagos can also be improved by Updating the Campus Master Plan and generate a multi-year capital budget for improvements to academic facilities, living and dining facilities, athletic and recreational spaces. Enhance the learning and technological infrastructure required for a vibrant academic environment and student life. Explore revenue sharing opportunities that will encourage innovation. Strengthen existing human resource management practices to maximize the collegiality, effectiveness and efficiency of the University’s employees. Internationalization would help the university of Lagos to do excellently well in research and development, as it is one of the strengths today’s economies lies. Research is essential for facilitating outstanding student education and training. Research-intensive universities encourage excellence in education and research at the highest levels of learning. When students engage in research, they get into a careful process of honing their skills and critical thinking abilities further. And in this way, they are best prepared for facing the future challenges and opportunities. Today’s economies are mainly driven by technology and innovation and a research-intensive university education system is the only way to further this progress. The university would have the effrontery to do researches in fields or areas that other Nigerian universities would not like because they do not possess the intellectual capacity. Fields such as cloning, which is an integral aspect of genetic engineering and robotic engineering is also a good one. Internationalization will improve method of lecturing. For instance, the case method is the foundation for the Harvard Business School (HBS) curriculum. The case method makes for a highly engaging and enriching learning experience. At HBS, you don’t sit back in class and listen to a professor lecture. Each class, you read a case about a protagonist and a decision that he/she is facing. You’re put into the shoes of the protagonist and forced to make a decision on what he/she should do, often without all the information that you’d like to have. The case method is truly unique to the HBS experience. It helps prepare you to be a general manager, where you have to make tough decisions. It would help in international student exchange programme. University student exchange programs are ones where the students of the specific university get a chance to study in university’s partner educational institutions. This helps the students get the opportunity of knowing a lot about themselves. Moreover, students can engross themselves in the chosen language and culture of the country. Also, one can learn all about the true meaning of ‘diversity’. Students can live like local people of the place and will not feel as tourists. In fact, gaining the inter-cultural first-hand experience is one of the best assets of foreign exchange programs. There are different universities offering the benefits of student exchange program scholarships, which lessens the overall financial burden of students. Universities like Sharda University come with a lot of agreeable options of partner institutions, which rank among the top universities in the world. Internationalization will introduce a more practicable way of lecturing. Many of the administrators and researchers at Duke University are oriented towards the practice of their subjects in the real world that is unique to Duke in my opinion. The impact of the large graduate schools at Duke like the business school and law school and the influence of the same on the undergraduate studies at Duke, make Duke more practical in the subjects it teaches and the course it creates for students. The university would start offering courses such as robotics, software engineering etc. Graduates of these courses are needed in North America, Asia and Europe. Student would come from all over the world to do these courses. The university would be financially self sufficient if it is internationalized because nationals from Europe, America, Asia and Australia will love to be admitted for courses that would help them fulfill their dreams. These students from other continents would pay their fees in dollars. The university would also generate funds from research and development. What could hinder these good prospects ? Nigeria as a nation is plagued with unnecessary political actions and retrogression. There may be political opposition to this internationalisation at the power house in Abuja. This has to do with the upper and lower houses. That is, there could be some aspects of the internationalisation that would need legal approval or backing especially in the areas of funding. Research and development would also need legal approval such as the research on cloning. How do we accommodate international students who belong to the LGBTQ community could also be a serious issue. Internationalization needs adequate funding. We are talking about millions of dollars here to start with. Oxford university, Cambridge university, Harvard university, Princeton university and Yale university have financial budgets that is larger than the budgets of all third world countries and some African nations. News of insecurity and political unrest on international media such as CNN and BBC could spell doom for the internationalization of the university. Foreign lecturers, scholars and students would be stopped by their nations (although we can do something about this by promoting news of security of lives and property in our own media and by advertising on these foreign media). Furthermore, this would also be an obstacle for foreign investors such as IMF and international partners such as Microsoft incorporation. Lack of maintenance culture is endemic to Nigeria. Over the years, Nigeria have shown that we do not know how to maintain our facilities. Can the university maintain a genetic laboratory over a long period of years without violating any rules and still sticking to international standards? Can they maintain an Olympic size swimming pool? Can they maintain a standard robotic laboratory? These are questions begging for answers. Conclusively, this is a very important prospect. If the university undergoes internationalization there would be an indirect and direct effect on our exchange rate. The Nigerian currency – which is the Naira – would be improved. 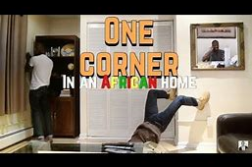 This is because foreign students would paid tuition fees in dollars and the rate at which Nigerians travel abroad for university and advanced education would drastically reduce since the excellent education they so much desire is now available at home.